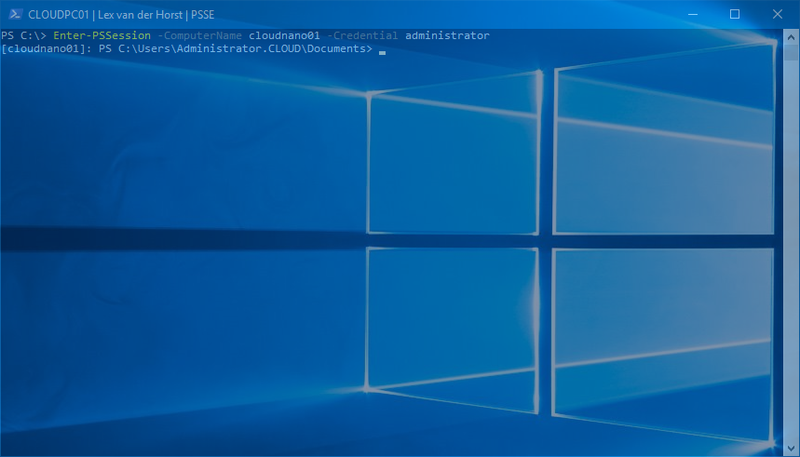 In this article I’ll show you how to install Internet Information Services (IIS) on a Windows Nano Server 2016 using the packages that comes with the Windows Nano Server 2016 installation media and without using the Nano Server Package provider. 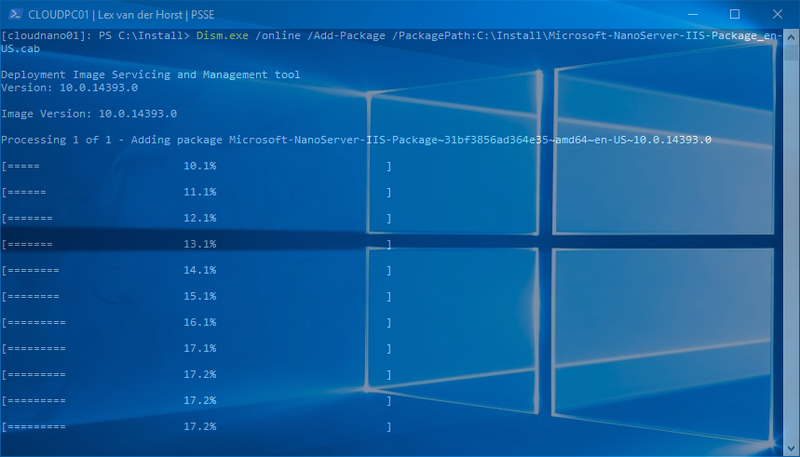 Install another package that will require reboot such as Microsoft-NanoServer-Storage-Package. 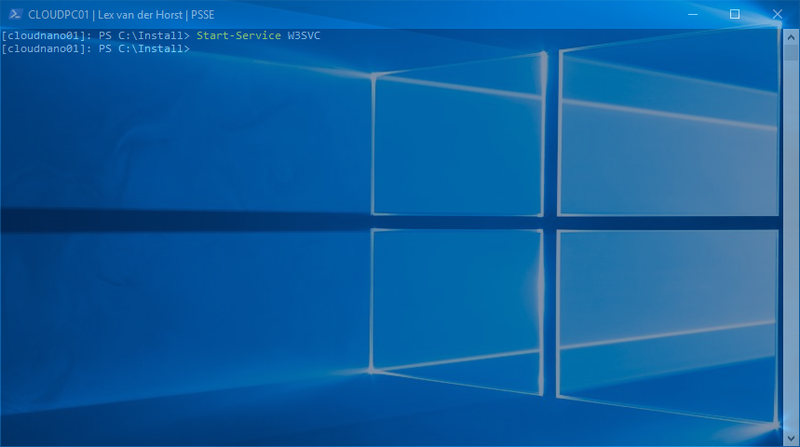 Open the Windows Server 2016 Nano Server folder located in the ISO image named NanoServer. 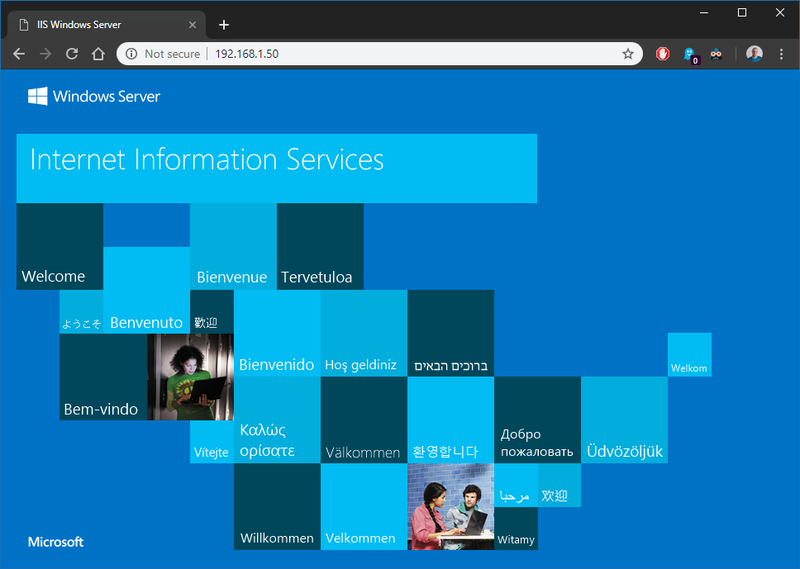 Go to the folder packages and copy the Microsoft-NanoServer-IIS-Package.cab and the language package located in the en-US folder to the Windows Nano Server 2016.